Today young couples like to set the table more quickly and easily than their parents, but we can still find elegance in simplicity. 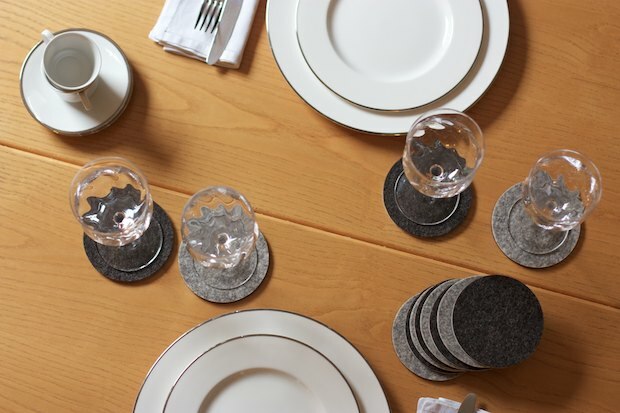 You just need a wooden table (in this case one made from ash wood) porcelain dishes and coasters made from a simple circle of dyed wool felt, light and dark gray. 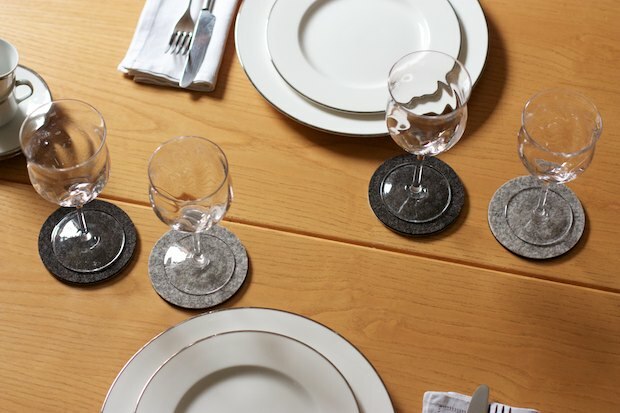 Wool felt provides warmth to the table and protects the surface from stains and humidity from the glasses. 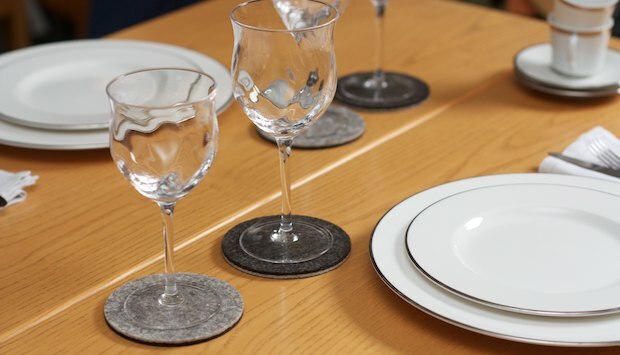 The felt attenuates noises everytime the glass touches the table. To learn more about this product, visit www.difeltro.com. Posted in How to Make. RSS 2.0 feed.